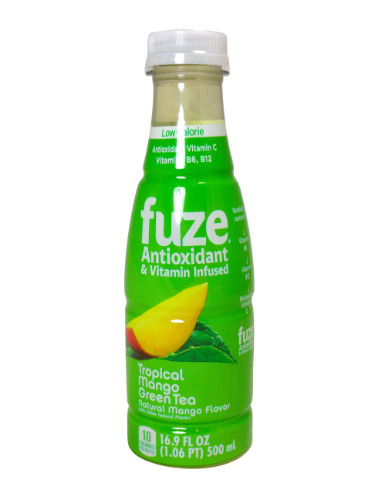 FRESH 16.9oz bottles of Fuze Tropical Mango Green Tea Antioxidant & Vitamin Infused beverage. Savor the tropics with the vibrant flavor of sweet island fruit as exotic notes ring through your taste buds with a mouth-watering melody. This refreshing Tropical Mango Flavored Green Tea is Antioxidant Vitamin C, Vitamin B6 and B12 infused. Every delicious sip is a bright utopia on the isles of Fuze.